I will be going to the fall meeting of the NRA Board of Directors this Thursday through Saturday, to report on the major themes, or any interesting happenings. What I expect will be major topics of discussion are the coming election in November, getting H.R.6691 passed as quickly as possible, and legal strategies post-Heller. The board meetings also allow me the opportunity to meet up with fellow bloggers Scott Bach, Tom King (both blogging board members), and usually Dave Hardy and Dave Kopel (not board members, but usually around). As I’ve said before, NRA is not a closed society. Any member is free to attend the board meeting and watch the proceeding. If you get to know some of your local board members, they can invite you in to sit in on some of the committee meetings, which are open for observance by members. Tell em we need to fix Lautenberg….or better yet, repeal it. How does one go about finding their local committee? Also, if asked, one of my number one goals for legislation is to see a mandate of reciprocity for CC. I hope to see us leverage the Heller decision toward such. I expect it to take 10 yrs, but I hope I see it in my lifetime. What I recommend is going to Friends of the NRA events. That’s where you can meet a lot of NRA types. Where do you live? You’re a Jersey guy aren’t you? In that case, ANJRPC is having their annual Banquet on October 11th. I’d suggest signing up for your state association, and coming to the Banquet. I’m still up in the air as to whether I’ll be there this year, but Bitter will be there. Getting down Thurs morning, probably. They usually have all kinds of raffles, there are silent auctions, and a regular auction. 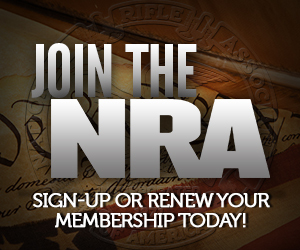 It’s a great place to get to know who the leaders in the gun rights stuff are in your area. you here Saturday?? Want to shoot Dove on saturday?